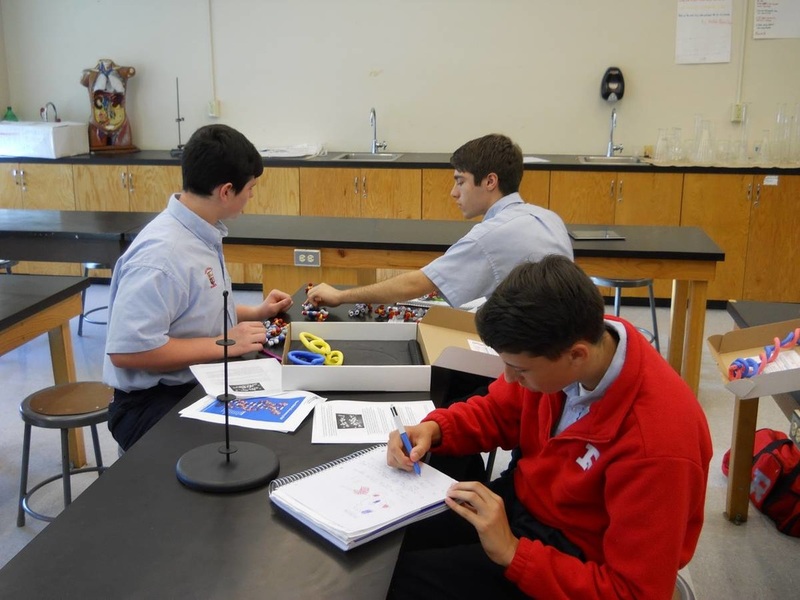 Nervous System by learning about the brain and what parts control cognitive functions, dissection of a brain, and building a model of a neuron. BioMed I students building DNA models. 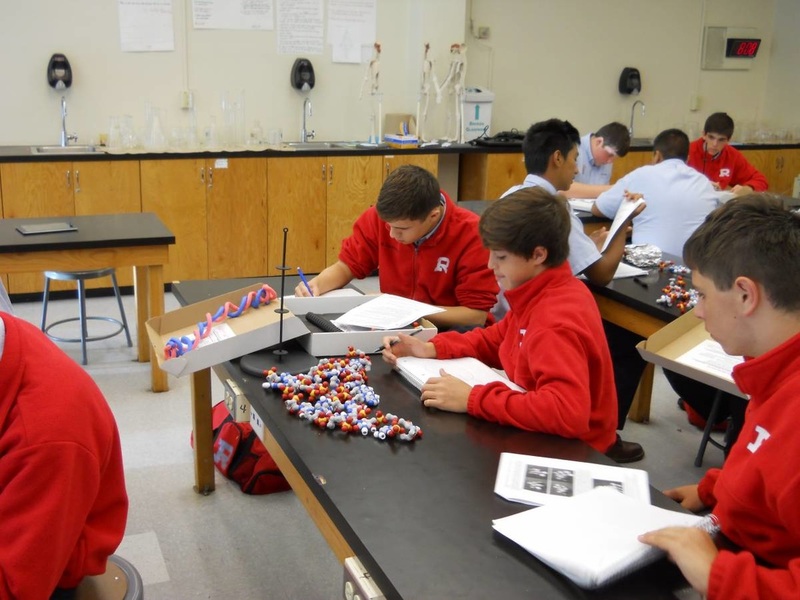 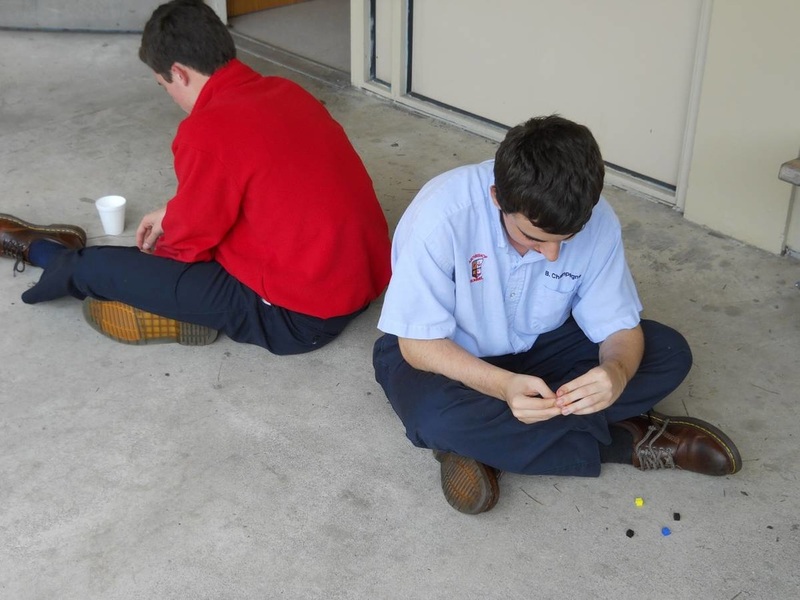 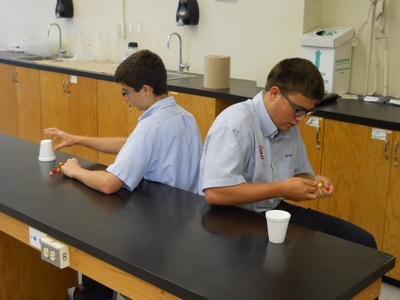 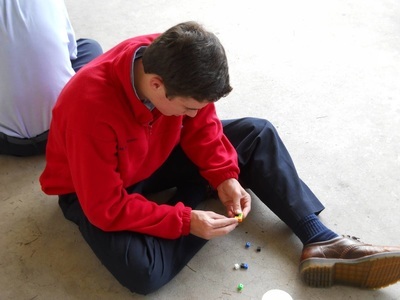 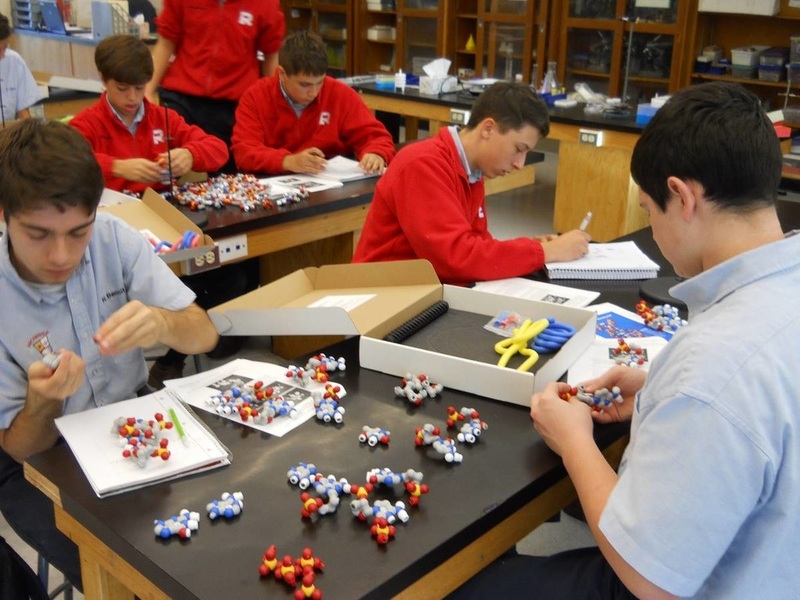 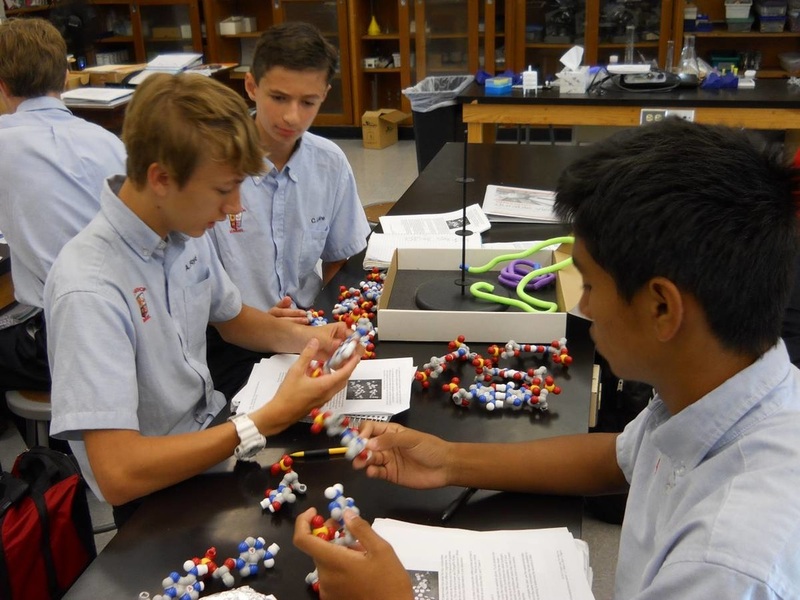 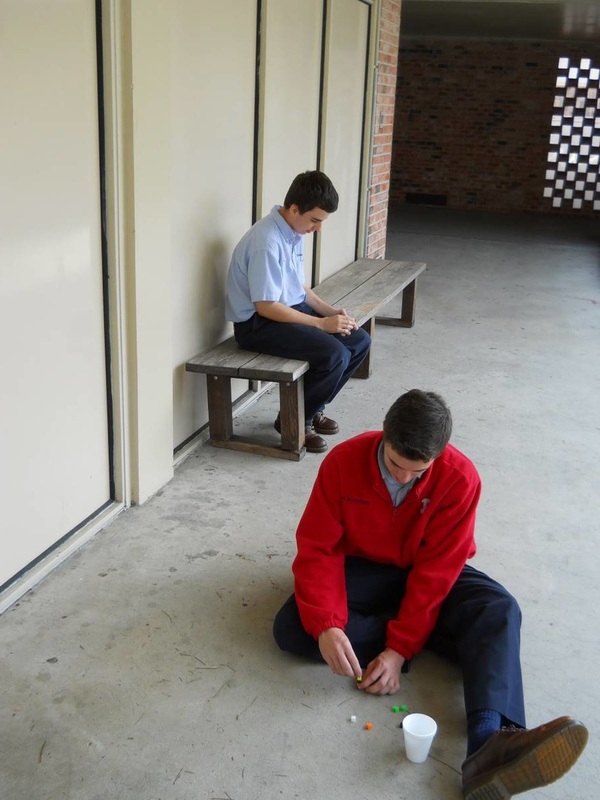 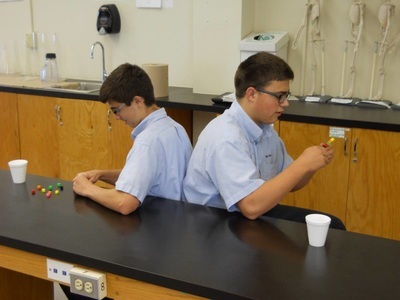 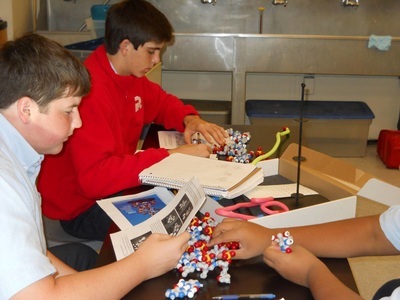 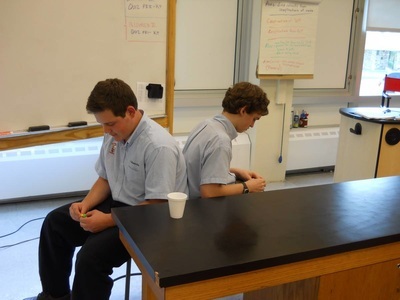 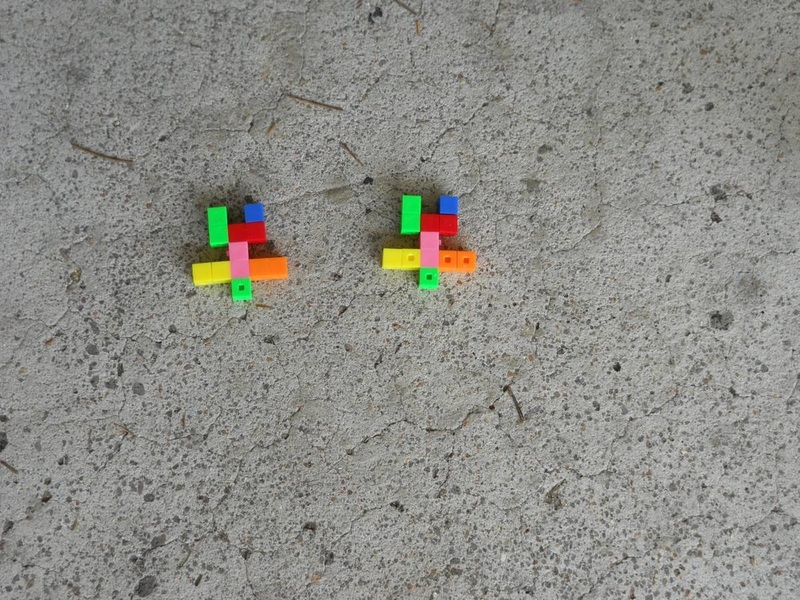 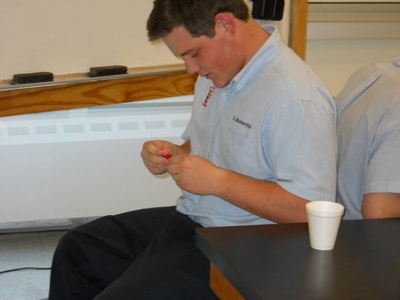 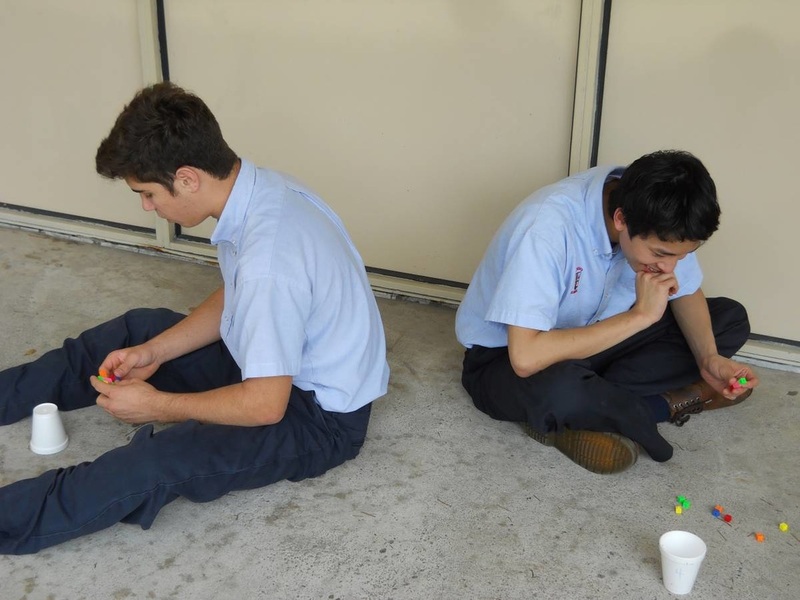 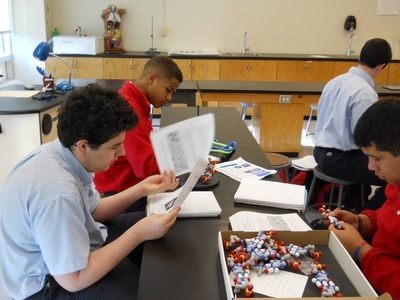 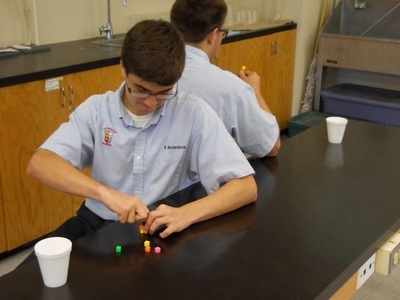 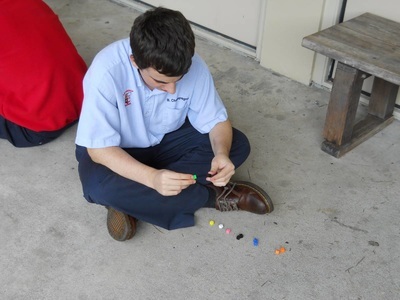 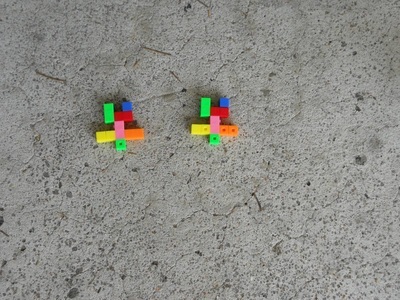 Students built DNA models as they learned about the structure of DNA and genetics. They learned about the advances of using DNA for various testing such as detection of predisposition to genetic diseases, the creation of new drugs to treat diseases, and personalization of medicine based on individual genetic profiles. 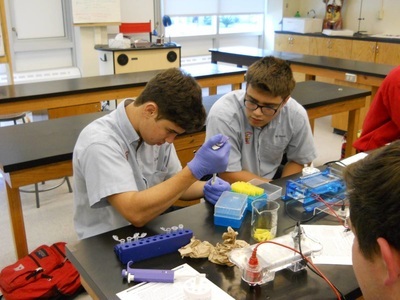 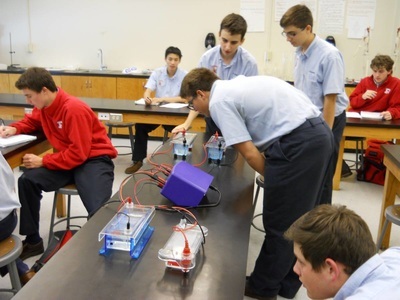 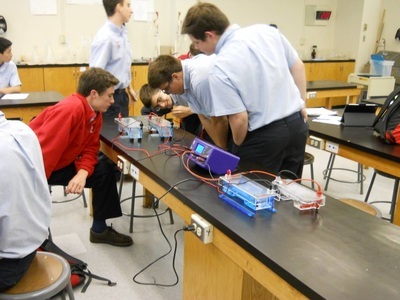 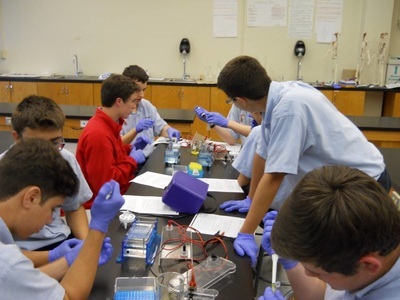 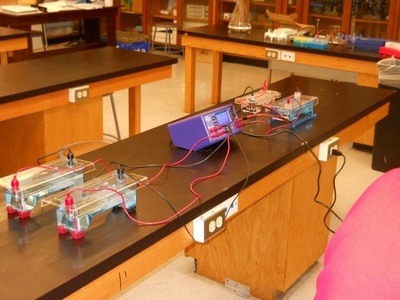 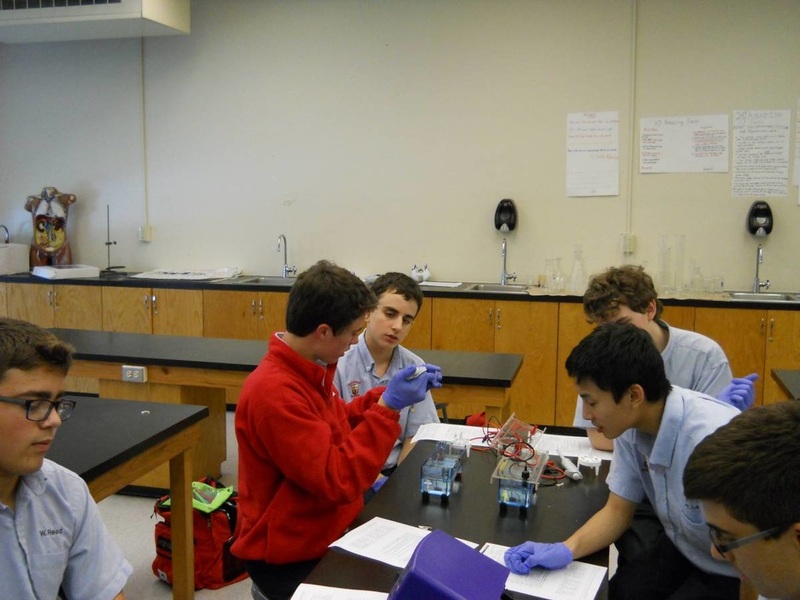 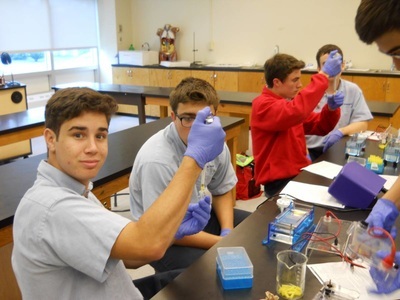 BioMed ll students performed gel electrophoresis to determine whose DNA belonged from two missing persons. 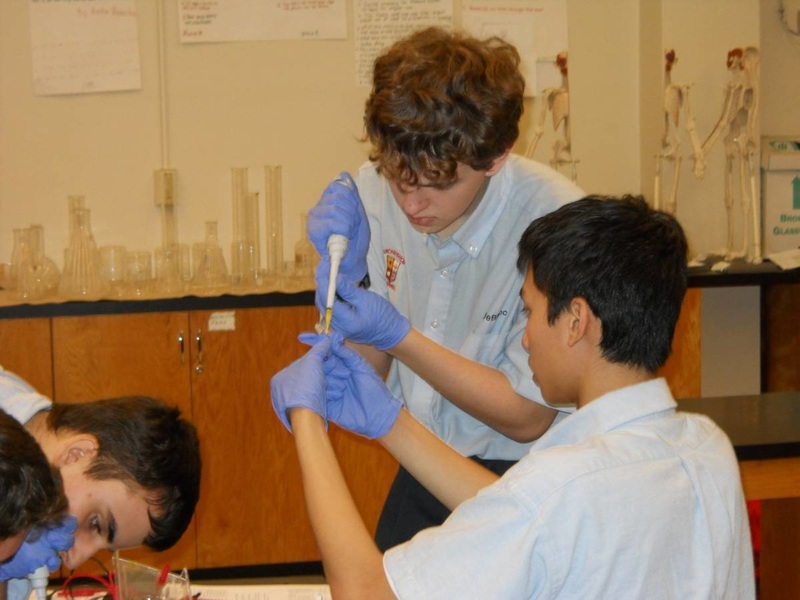 Students worked as forensic DNA analyst to evaluate DNA samples found in the bones of skeletal remains and compared each unique DNA fingerprint to the genetic material of two people who have gone missing. 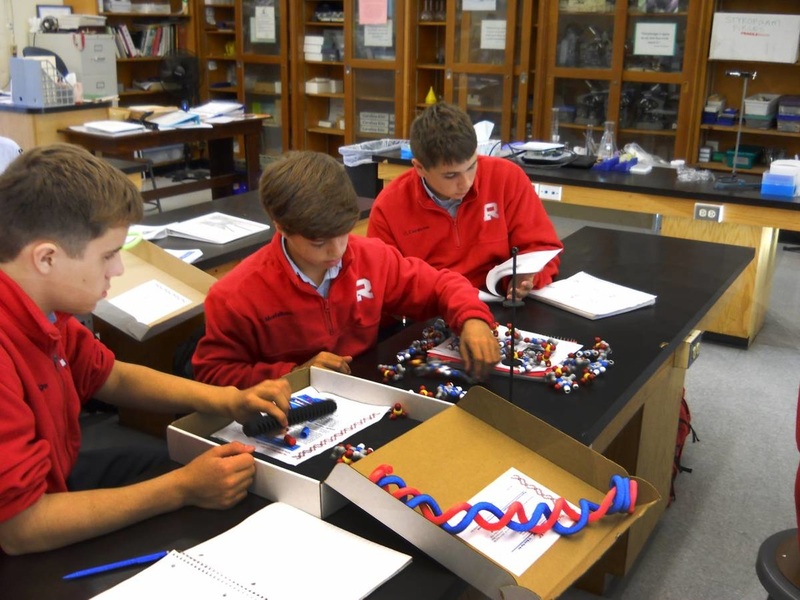 Students explored how restriction enzymes work and how they allow for visualization of differences in DNA. 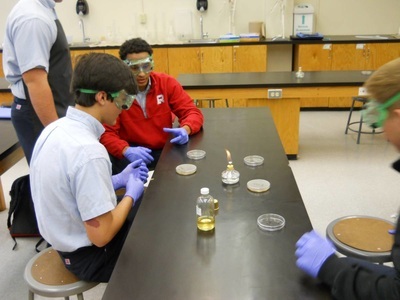 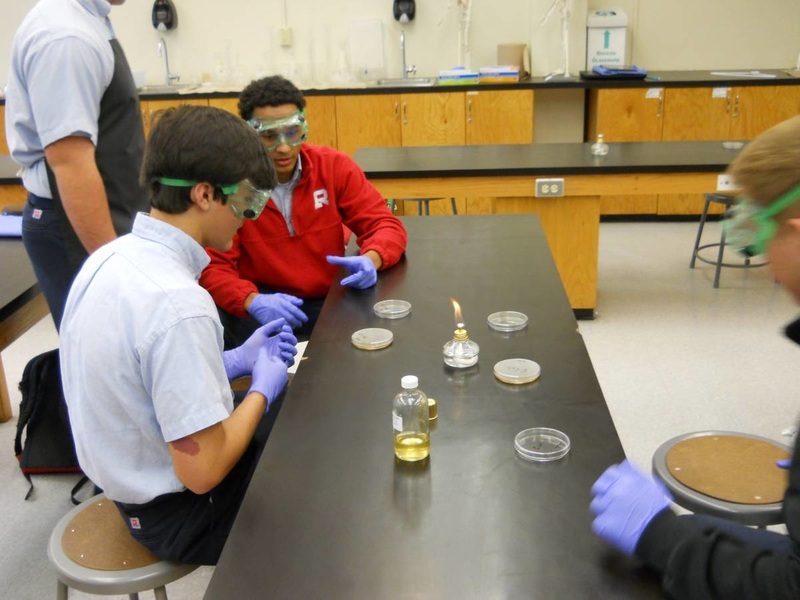 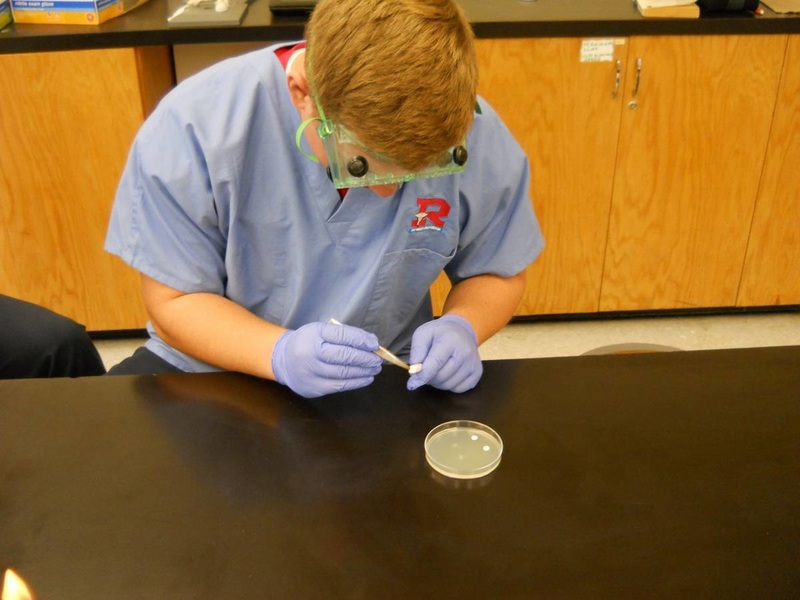 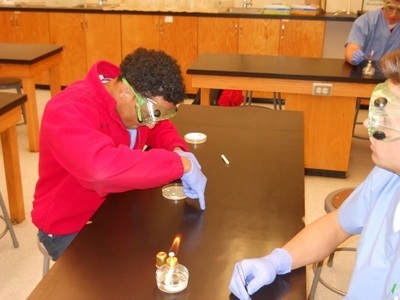 After learning about the different classes of antibiotics and how they affect the bacterial cell walls in different ways, the BioMed lll students performed a common test done in hospital labs to determine which antibiotics are susceptible and which are resistant to a particular bacteria. 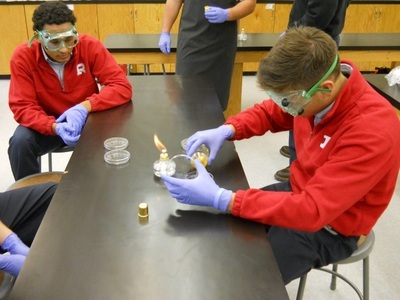 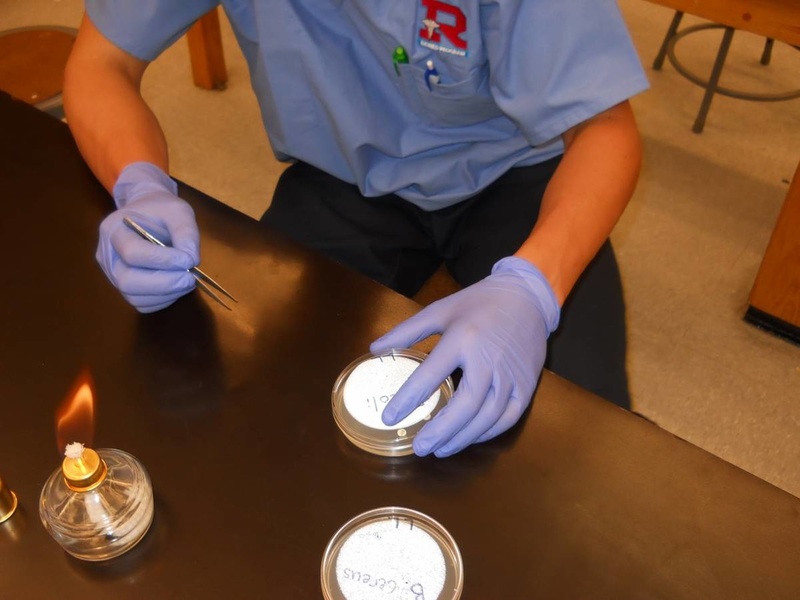 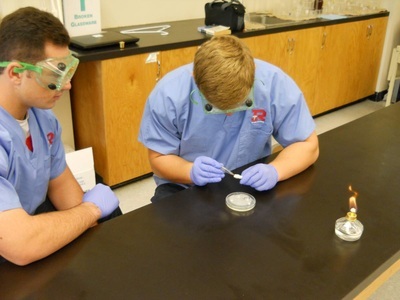 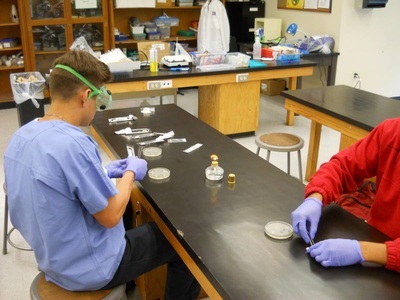 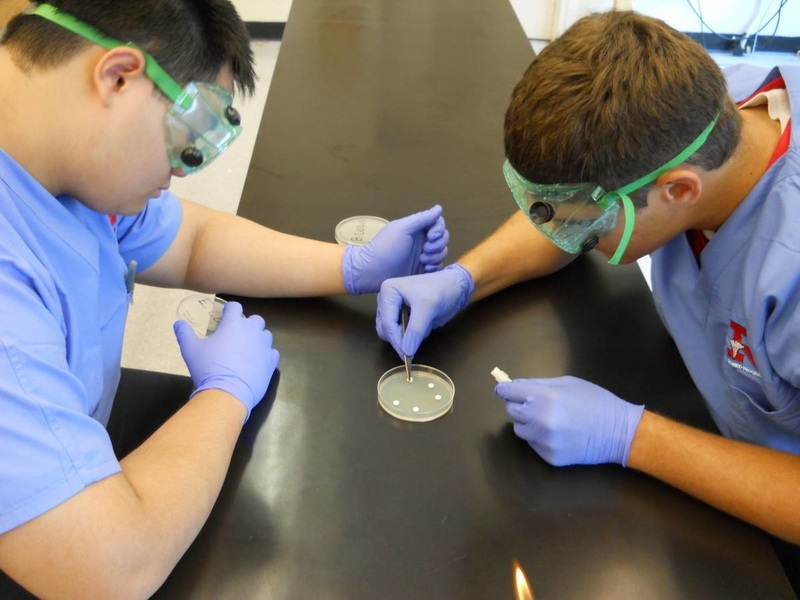 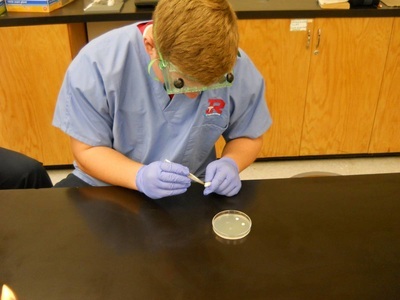 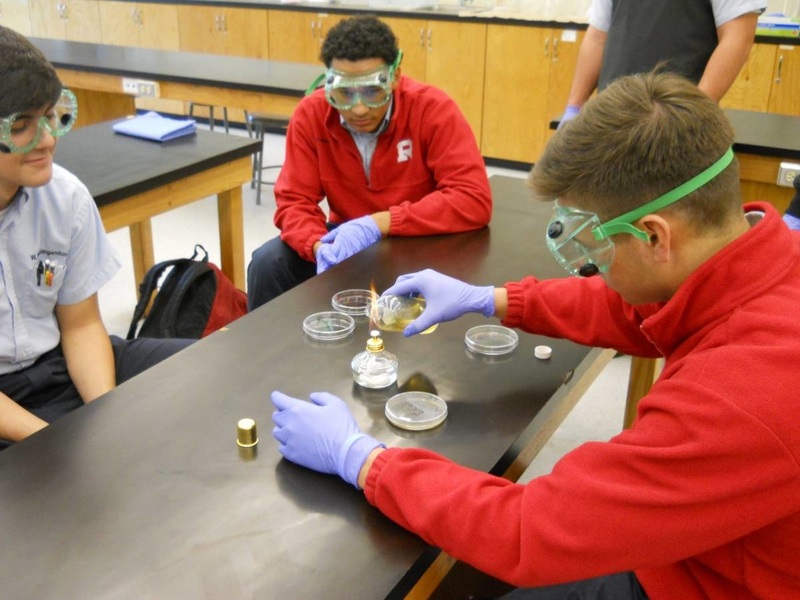 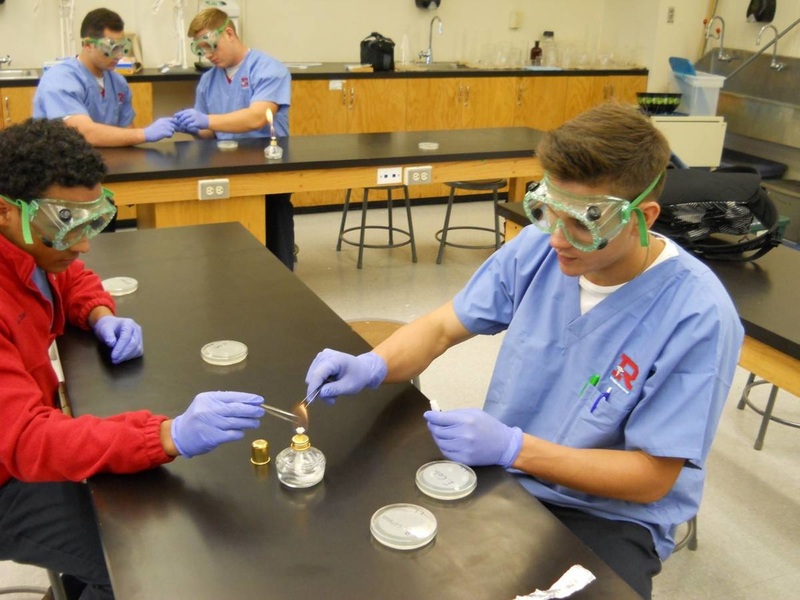 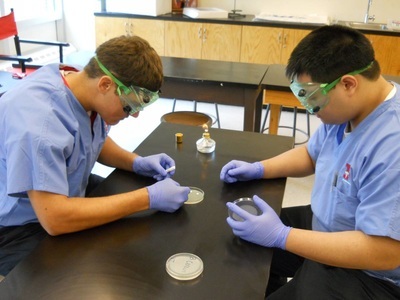 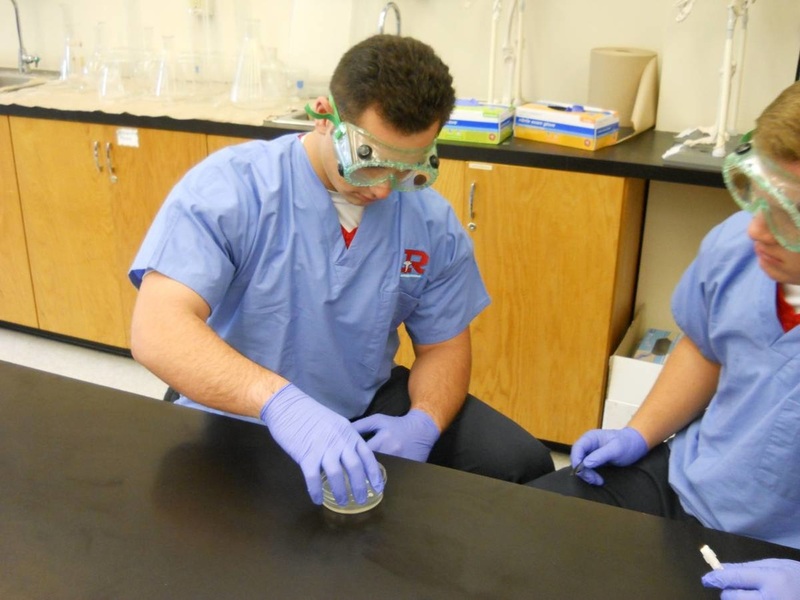 After placing 6 different antibiotic disk on a strain of bacteria, the students allowed analyzed the results at 24 hours and again at 48 hours. Each time they measured the clear area around each disk known as the "zone of inhibition." They were able to analyze their measurements and make a determination to which antibiotic was most effective at preventing the growth of the bacterial strain.